I’ve been a bit naughty! As a diabetic you’re meant to visit the clinic every 6 months for regular check ups to make sure everything is going okay. Well I haven’t been since 2013. This isn’t all my fault though, I promise, I’ve had a couple of appointments cancelled and then been too lazy to sort out another one! In September I rang up because I knew I was going away for a long time and they told me the next available appointment was 16th February. That was a 5 month wait, there are clearly too many diabetics in Essex! Anyway after having the regular check ups, I went in to see the diabetic nurse. 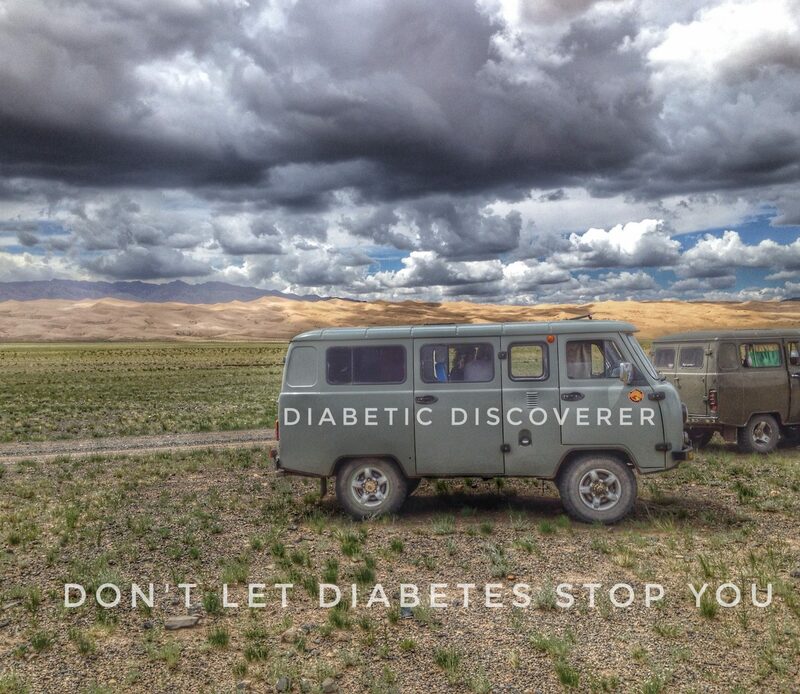 I explained that I had booked a one way ticket to Mongolia, leaving in June and I was a bit concerned about acquiring insulin in some of the countries I planned on visiting. I use NovoRapid and Lantus and after contacting the companies that provide both insulins, I found out that it was not possible to obtain Lantus in Mongolia and NovoRapid in Vietnam. Now this shouldn’t be an issue as all of the other countries in that part of the world supply both insulins over the counter with a valid prescription, but what if I was to get all my insulin stolen again. (Read about that here.) The diabetic nurse informed me that the only way to get around this would be to book a doctors appointment in the country that doesn’t supply the insulin and speak to the doctor there. They will have a different type of insulin that I could use until I could get to a place that supplied mine. However she did advise that with any new insulin you take, you should reduce the amount taken by 10% to start with, until you find out how your body reacts to it. Useful information! She also supplied me with 2 more sugar level testing kits, which is handy because you always need a spare, or two! I also got some ketone testing kits, spare test strips, spare needles, 2 injections for the places that only supply vials of insulin, not the flexipens. All in all a successful visit, if your planning to go away for a long time, let your clinic know, they are more then happy to help out. Check out my planning to travel with diabetes page for some handy tips on travelling with diabetes. This entry was posted in Diabetes, Health, Travel and tagged Diabetes, Health. Bookmark the permalink.